Every year in the spring do you plan to prune your trees and shrubs so they look full and lush all summer and fall, then it doesn’t happen? You’re not alone! Pruning trees and shrubs is a big job that needs to be done with precision with the correct timing for each tree. It’s easy to let it slip or be overwhelmed with the scope of trimming your own trees. T & L Tree can be your seasonal tree maintenance partner. Our arborists have been helping St. Louis and St. Charles homeowners and businesses with their tree needs for over 45 years. Treating issues and planning your tree maintenance schedule is more effective when action is taken in early spring. 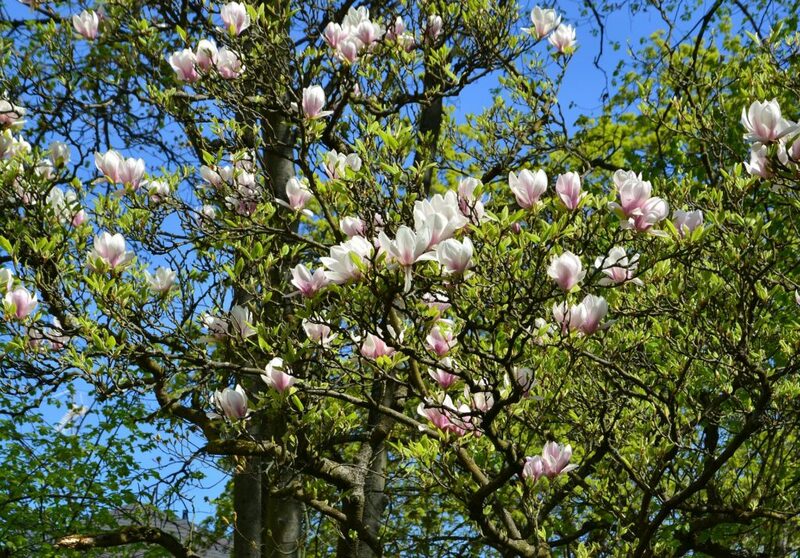 Assessing the health of your tree, pruning, and adding the proper early spring nutrients is recommended just before bloom and at bloom emergence, though it is not too late if you take action in late spring for many species. Depending on the amount of spring rain, fungus can be an issue. If we spot the early stages of fungus, we can treat it accordingly and give you healthier trees as you enter into summer. If you are considering adding new trees and shrubs to your landscape, this is the ideal time for planting. In the early summer months, pruning is still an option, as well as soil and root treatments, mulching, and other insect and disease treatments and preventatives. May is when the Emerald Ash Borer (EAB) starts its destruction so we advise ash tree inspections and treatments as soon as possible. In June and August, we typically watch for bagworms, spider mites, and aphids, and continue to monitor for EABs. If left untreated, trees can suffer irreversible damage from these insects. August tends to be our dry month and trees can suffer from drought – we can set up a treatment plan to keep your trees healthy enough to withstand the extreme heat and dry weather. We want your trees to give you incredible fall color and stay healthy for the winter months. Fall means fertilize! Late fall fertilization treatments replace essential lost nutrients and give them what they need to survive winter. These treatments will relieve and reduce tree stress, and promote healthy tree growth as well as root expansion. We may also prune many types of trees this time of year before dormancy. During the growing season, our certified arborists care for your trees like they’re their own, so come winter, they are healthy and ready to rest for a few months. Winter can be extremely hard on our trees in the St. Louis area – wildly fluctuating temperatures, rain, ice, snow, salt, high winds – it’s a wonder many survive as well as they do! As winter carries on, lost branches and compromised structural integrity may signal problems. We keep an eye on your trees so when early spring arrives, any winter stress-related tree issues will be detected by our arborists and remedied. With the extreme weather conditions in our area and the threat of more disease and pests year after year, keeping healthy trees for generations is getting more difficult. If you have an annual tree maintenance plan with T & L Tree Service, your trees will have a better chance to thrive, producing beauty, shade, and value while removing the safety risks.